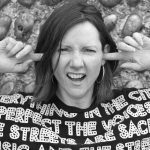 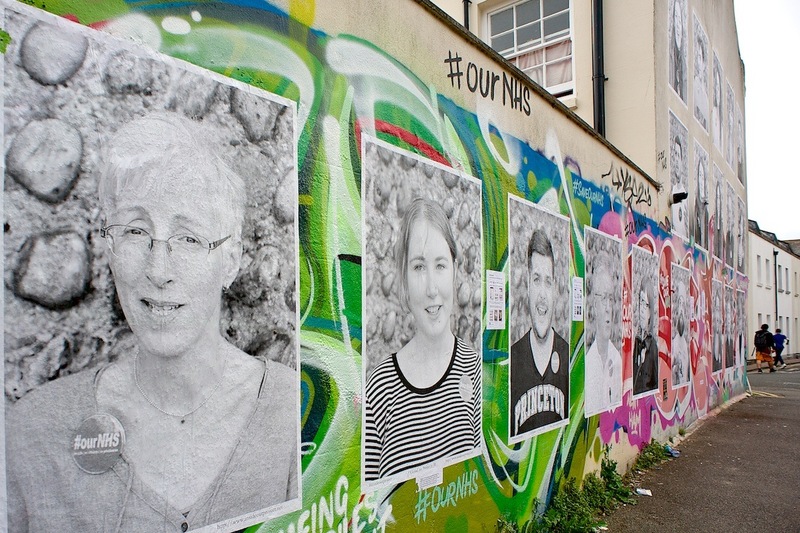 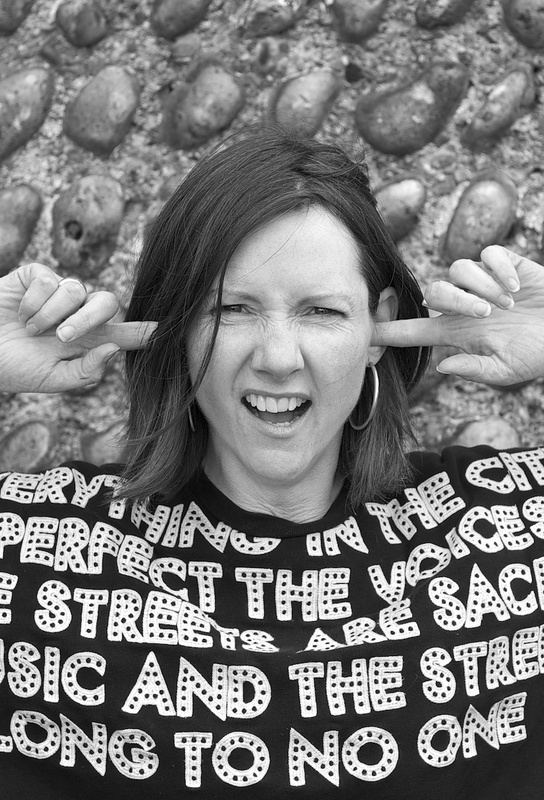 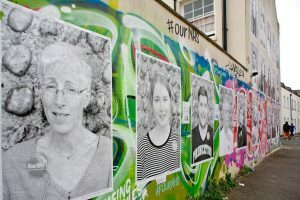 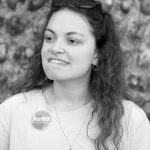 An interactive, outdoor exhibition conceived as a way of creating a significant ‘guerilla’ art activity during Brighton Festival 2017, to raise awareness of the cuts & re-organisations to the NHS, & is part of KP’s ongoing exploration of presenting digital storytelling in unexpected outdoor locations. 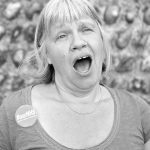 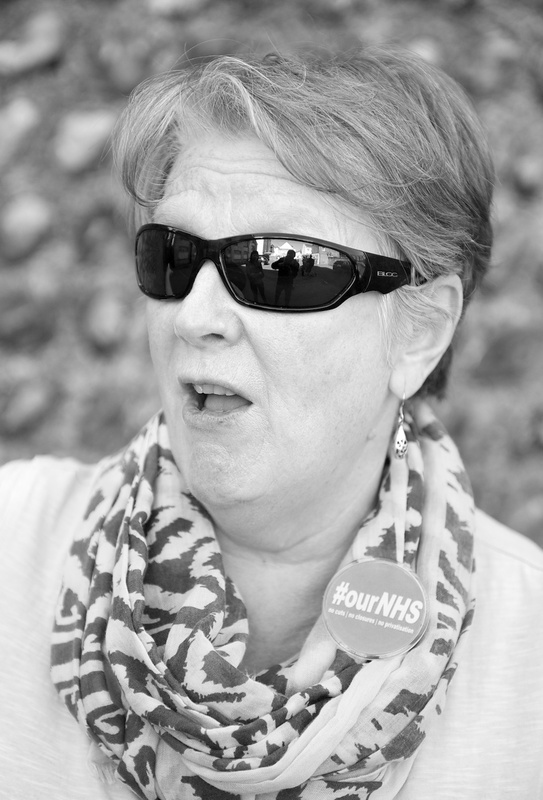 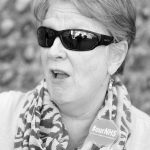 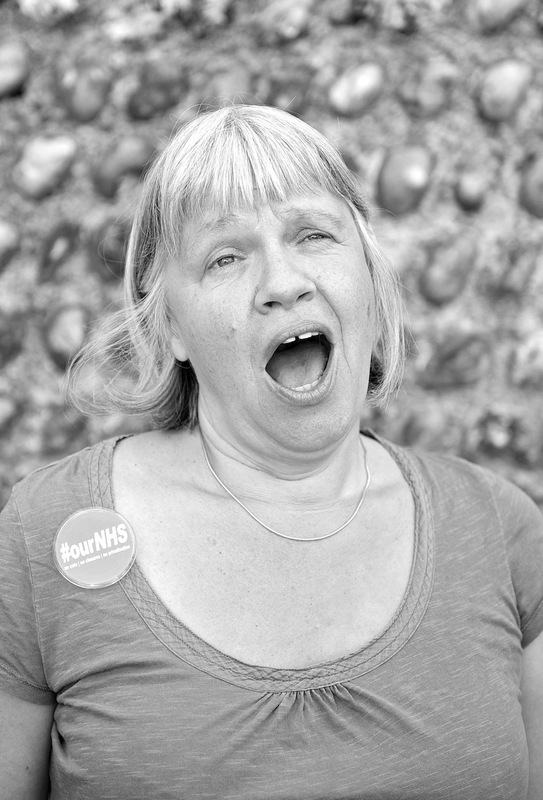 Created in In collaboration with Ray Gibson (Raysto Images), Dr Sarah Anderson, Sussex Defend the NHS & internationally acclaimed photographer & artist JR & the Inside Out project. 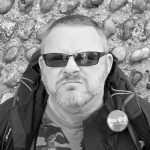 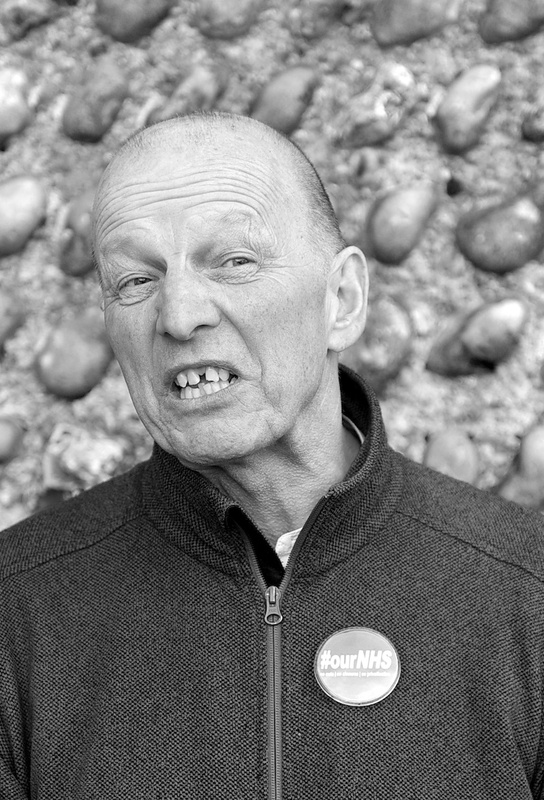 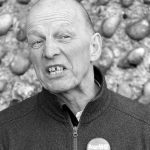 Subjects were activists & passers by, plucked off the streets or from a pub round the corner, who told their stories & concerns about the NHS whilst be photographed & recorded. 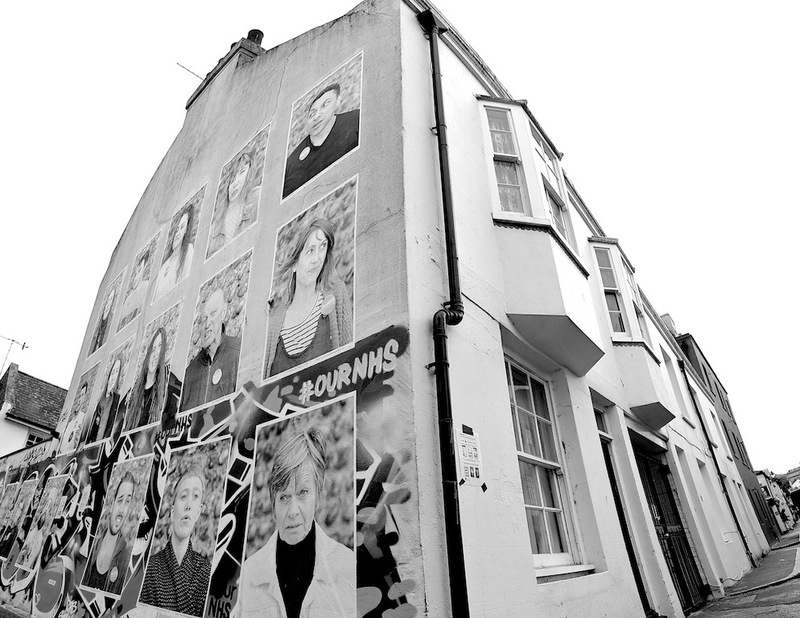 The photos were blown up & printed as part of internationally acclaimed photographer & artist, JR’s Inside Out project. 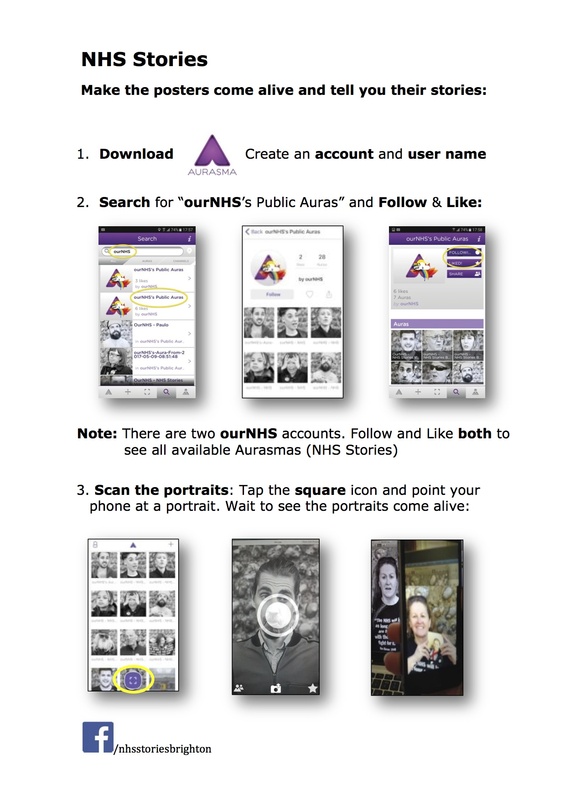 Images, film or audio were edited together under the auspices of virtual reality app, Aurasma, to make posters come to live. 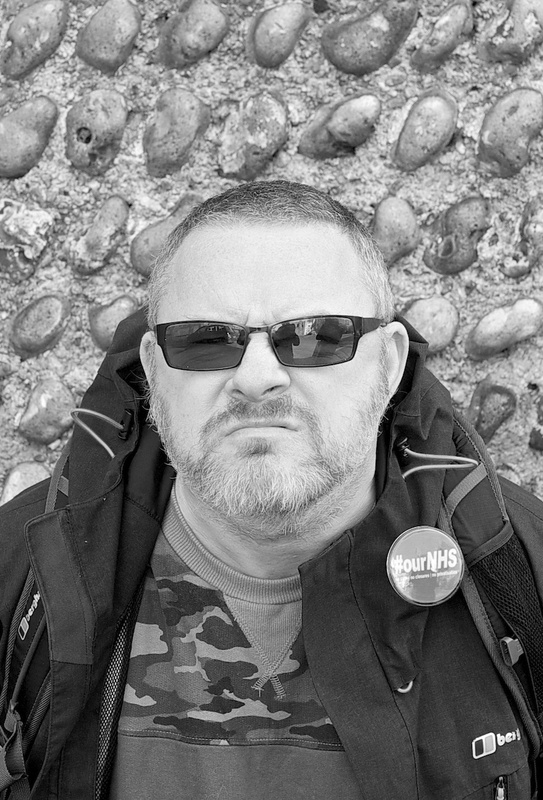 Click on the instructions to the left, or see a couple of the films below.